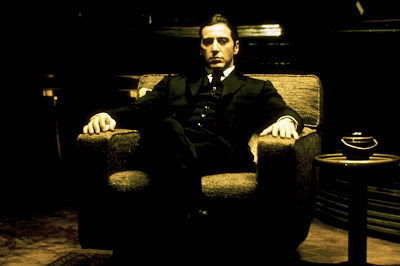 It may be bold to say this, but I believe The Godfather Part II (1974) to be the best American narrative film ever made. Even among its fans, many prefer the first film. 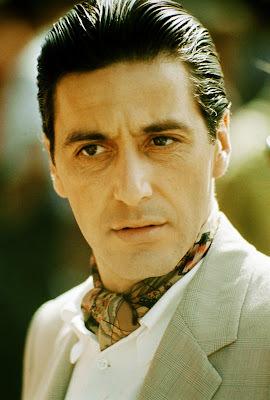 But I would hasten to point out that without the second film, The Godfather (1972) is simply a well-cast genre picture. 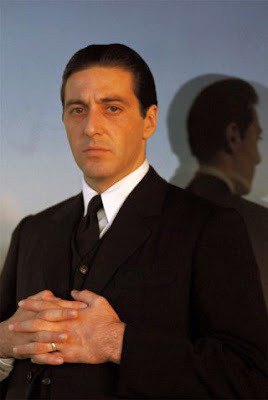 Part II's double-pronged storyline, with Robert De Niro playing Vito Corleone in his early days, and Al Pacino continuing his portrayal of son Michael, enriches and adds complexity to the story begun in the first film. Director Francis Ford Coppola, who cowrote the screenplay, fleshes out the family's travails by bringing his own experience as an Italian American to Mario Puzo's original story. 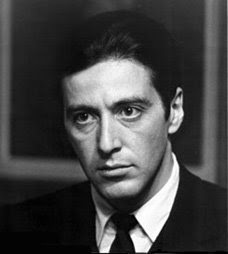 His deft ability to enhance the Corleone saga with actual historical events further frames the saga as the ultimate immigrant's tale, and adds a distinctly jaded viewpoint to what it means to be an American. Thus the film, released in the Watergate era, the height of Americans' disillusionment with their country, is both timeless and of its time. The film begins in the 1900s, with a young and near-mute Vito Andolini, of the town of Corleone, Sicily, taking flight to America after his family has been slaughtered by local Mafia chieftain, Don Ciccio. In Ellis Island, the boy is mistakenly renamed Vito Corleone, becoming first in the family line in a symbolic sense. The story then jumps to the late fifties, where his son, Michael, happily married to Kay (Diane Keaton), has moved the family to Lake Tahoe, a place he hopes will serve as the jumping point for his goal of achieving legitimacy for his family. 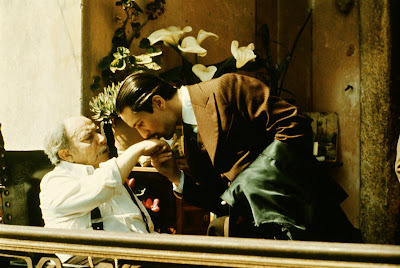 Coppola consciously parallels events in the first film to highlight the differences between the father and son. 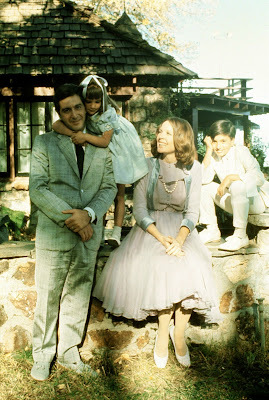 For instance, while we meet Vito, in the first film, urgently conducting Family business in order to enjoy his daughter's wedding, in the second film, Michael is eagerly exploiting his son's communion celebration to establish political ties with the powerful Senator Geary (G.D. Spradlin). 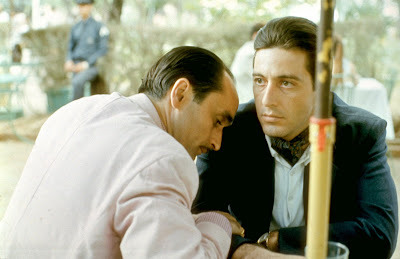 Though Vito is quick to consider the price he pays after his eldest son is murdered, calling for a truce, Michael seeks to incite infighting within his ranks, and mentor Hyman Roth's (Lee Strasberg), in order to pick through the remains and consolidate his power in the aftermath. Coppola also highlights the difference between Vito and Michael as he segues between the respective storyline for each. Vito is warm, and generally holds court with his caporegimes, Clemenza (Bruno Kirby) and Tessio (John Aprea), at his kitchen table with his wife nearby. 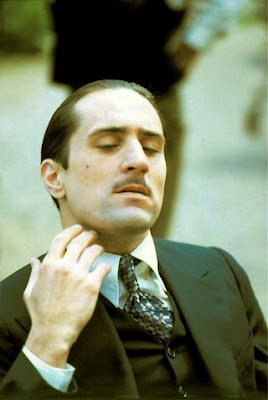 For more on the Godfather films, see: Seventies Cinema Revival: The Godfather DVD Review: The Godfather Part III - Operatic Film Deserving of Reappraisal Stills courtesy of Paramount Pictures. Great post on one of my all time favorite films. This is one of just a handful of films that I can hear called possibly the greatest American film ever made and not offer any argument...it is nearly without peer in my book. It is extremely likely that you are correct and this is the greates American narrative film, if such a thing can be judged. It is certainly one of the greatest American narrative films, something I believe can be judged, and possibly one of the greatest works of American narrative fiction in the 20th century (especially when taken with its predecessor). Any folks out there who'd prefer to dissent on my high opinion of this film? I'd love to hear your comments also.